- New generation pattern with advanced groove design and extra-wide shoulder provides excellent shoulder area protection and very even, consistent wear. - Improved casing stiffness and footprint for exceptional durability and retreadability. 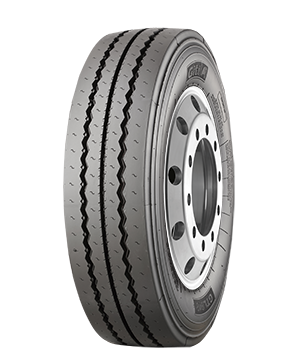 - Enhanced treadwear resistance to deliver improved cost per mile and longer tread life. - M+S enhanced traction stability in mud and light snow applications.